Tekmar-Dohrmann, of Mason, Ohio, has released a detailed, new study demonstrating the superior performance of the SOLATek Multi-Matrix Vial Autosampler for volatile organic compound analysis of liquid and solid samples. Today’s analytical laboratories face many challenges when seeking to automate, purge and trap techniques for VOC analysis. 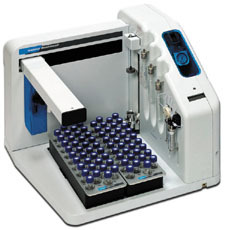 The autosampler was developed to provide the crucial elements needed for quality VOC sample preparation and automation.